President Donald Trump started his Wednesday morning in his usual manner: by angrily tweeting at someone who has spoken out against him. This time, one of the targets of Trump’s Twitter ire was attorney George Conway, a prolific social media critic of the president who happens to be the husband of senior White House adviser Kellyanne Conway. And Trump, whose alleged affairs have been well-documented, attacked George by calling him a “stone cold LOSER” and a “husband from hell.” Hmm. 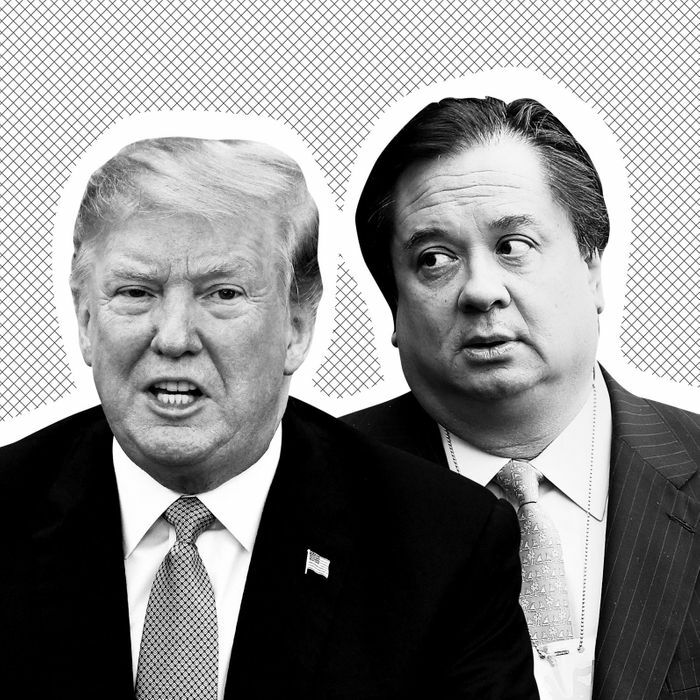 A Washington Post profile of the Conways from 2018 painted the picture of a marriage that was less than great. George reportedly first introduced Kellyanne to Trump in the early 2000s. Later, George was reportedly being considered for a job in Trump’s Department of Justice, but in a June 2017 statement, said he was withdrawing from consideration, per NBC News. Now, George’s disdain for Trump is common knowledge. Despite the presumed tensions George’s tweets might cause, it’s a bit bold for him to be called a “husband from hell” by a man whose former attorney recently testified in Congress about making hush payments to his former mistress and lying to his wife about it. But this afternoon, Kellyanne defended Trump’s comment. She said in an interview with Politico: “He left it alone for months out of respect for me. But you think he shouldn’t respond when somebody, a non-medical professional accuses him of having a mental disorder? You think he should just take that sitting down?” Ah, yes, out of respect. This post has been updated with Kellyanne Conway’s comments.